Dont worry be happy! Put on a happy face! How many times have you heard these words from someone irritatingly happy just as you feel down in the dumps. Easy to say - but how to do it? If you are in a less than happy mood, those words sound irritating to say the least. Happiness in my opinion is finding good things in your life - right here, right now. Realizing you have wonderful things all around you. So many people live their life stuck on the idea they will only be happy once they have achieved this, that and the other thing. And when they do - they realize they aren´t happy after all. Because then they have new things to want. There´s no way they can put on a happy face - for real. They haven´t learned to like the wanting-part - the journey itself. Their mind is set on the idea they cannot be happy unless they have achieved something (or everything). The haven´t learned to find happiness in their journey towards the wanted thing. Some say happiness is elusive. I think otherwise. Happiness is an attitude. And as such you carry the keys to happiness with you where ever you go - it is all inside your own mind. You can learn that attitude of happiness if you so decide. appreciate your life first as it is can bring almost magical results. I do believe like attracts like. And so finding happiness in the little things changes your mindset and you become like a magnet - drawing more good things into your life. I´ve studied the subject for over 20 years now and experience has shown me this really is so. And once this starts happening, the don´t worry be happy -attitude becomes easier and easier to keep. One of the most important factors of happiness is finding something meaningful to do. I have to say building my websites is one of the most enjoyable things in my life. Here is a story of someone else who shares the sentiment. So here are inspirational stories for you on the subject of happiness. 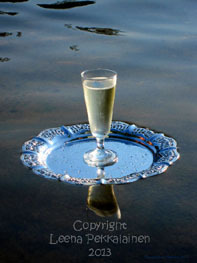 Don´t worry - be happy and enjoy! A short story of friends who started thinking what if they only had one month left to live. A little short story of coffee, cups and life. Here is a story of an unexpected symbol of happiness, taught by a neighbor who had time to look around. An old lady, and lots of smileys. Want to read the whole story? This advice may be old, but the message is never outdated. Quotes about happiness for you to enjoy. This photo always makes me smile. It brings to my mind someone who has had a tough life, yet been able to keep their great sense of humor. 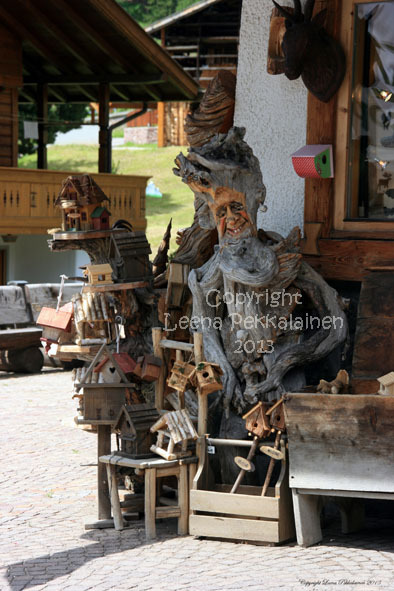 To me this funny log man is a "living" example of Don't worry be happy. If you wish to look at the photo up close, click on it and you will land on its page. Photos and pictures of Don't worry be happy are copyrighted by the author. Do not copy. 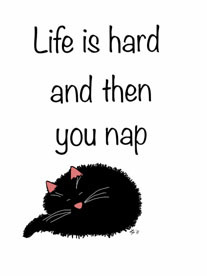 Eternal kitty wisdom... You will find the napping kitty in Zazzle and Cafepress.